Hello! Hello! 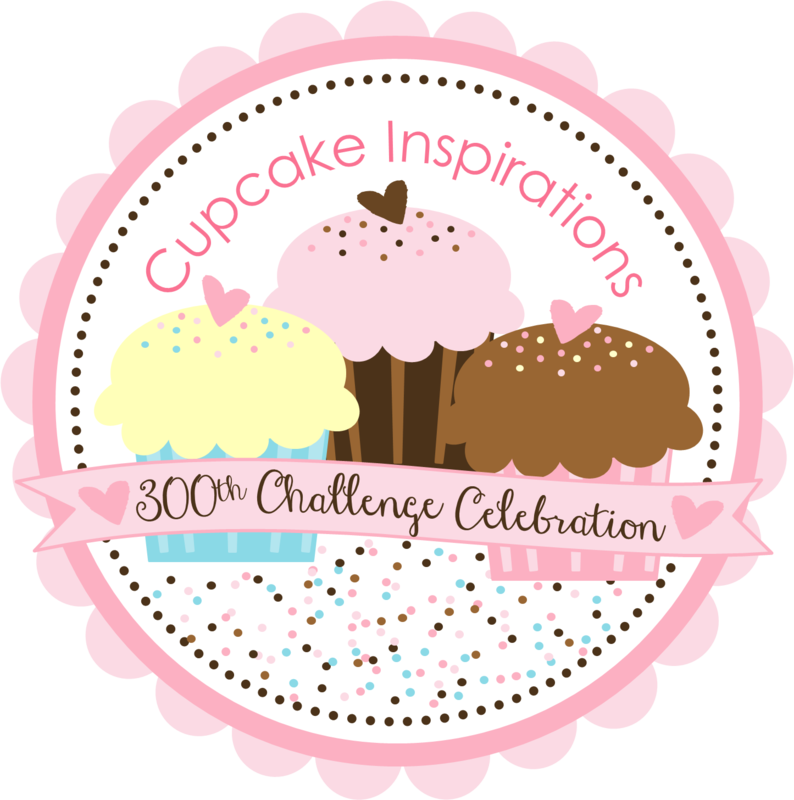 We're here with the second Inspiration Challenge for our Cupcake Inspirations 300th Challenge Celebration! 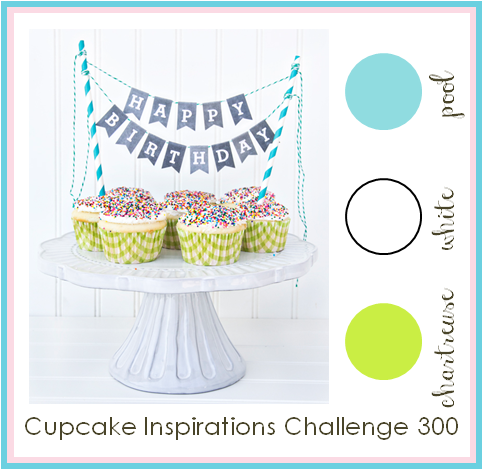 Today's Inspiration Challenge is a color challenge and our inspiration images today is tons of fun! I HEART UNICORNS. I just thought I should get that out there before we get started. Hehehe! Meljen's Designs has some of the cutest unicorn images ever and this one is no exception! I had such a blast coloring her! (If you know me, I dislike coloring! HAHA!) I used the Coastal Cabana Stampin' Blendabilities for her mane and tail and some Daffodil Delight for her horn and hooves. A teendy bit of Blush Blossom was the perfect pink for her cheek and ears. Oh! She's so cute! I originally left my unicorn plain white, but she just didn't look right to me. She didn't look "unicorn" enough, if that makes any sense! Sparkle N Sprinkle came to the rescue with their gorgeous Silver Pearl Embossing Powder. This stuff is so lovely! (I could probably use a little more practice with this stuff, but I'm happy with how it turned out). I used a VersaMark pen to color in the spaces that I wanted embossed and then sprinkled on the powder. Once the whole area was covered, I used my heat tool to melt the powder and give my unicorn this beautiful pearly look. And then of course, I added a little sparkle to her horn, mane, and tail with my Wink of Stella Glitter Brush Pen from Your Next Stamp. (I hope you can see that bit of sparkle!) The background had to be something fun and magical, so I used part of an image from Oddball Art Co. This is actually the "spraypaint" from the Big Eye Graffiti Artist image. Perfect for unicorn land, right? I added some more fun hearts with a cute border die from Your Next Stamp. The sentiment from Apple Blossoms was perfect and I stamped it on some Summer Starfruit Cardstock, then embossed it in white. I cut it in a tag shape, but maybe I have it down a bit too low to tell... I hope you like it! Get your shop on and get some lovely unicorn images (or whatever suits your fancy) at Meljen's Designs! They are offering 20% off this week! Use the code MDheart20, good until March 8. Plus Your Next Stamp is offering 20% off as well, with the code YNSCI20 (also good until the 8th)! Your unicorn is just adorable! Love the sparkle on her!